We understand you and your baby’s world. We attend to your infant’s every need and we listen carefully to you – the parent – so that your needs are met as well. 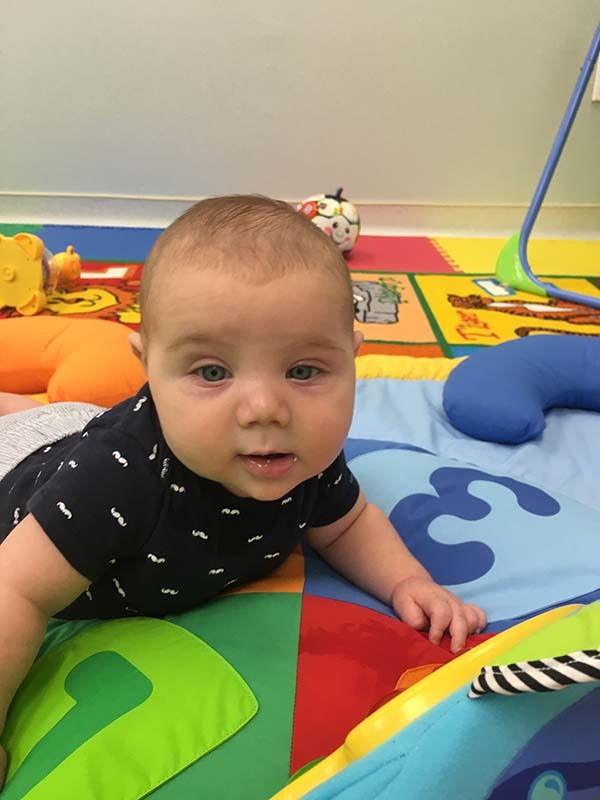 Our nurturing caregivers weave a learning curriculum (yes, even babies can learn!) into an infant’s individual need to sleep, eat and to just be held. 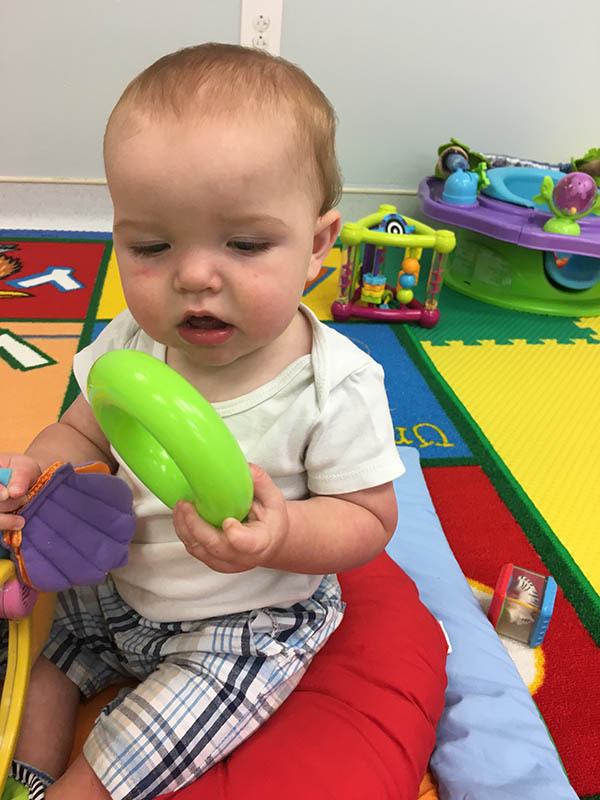 As your baby starts walking, climbing and exploring, we vary their activities to stimulate and nurture their young minds and bodies. Parents will receive a daily written report of feeding, sleeping, diapering and play activities. 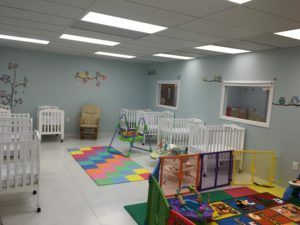 The infant room is designed for exploration and learning. We comply with strict regulations governing the space and equipment in the room. Our teachers are trained observers and recognize the importance of a safe environment. A maximum of 8 infants per room will be accepted in this program which will provide individualized care. A staff ratio of 4 to 1 per room will maintain extensive communications between the Center and the home. 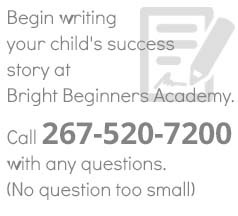 Call to learn more about our infant care.